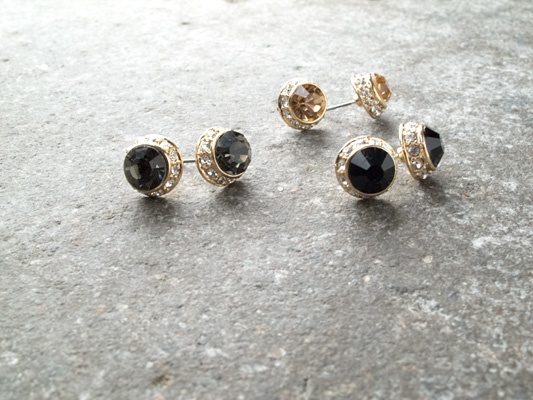 Gold based favorite stud. Stone center with embedded rhinestone trim. Standard post back.